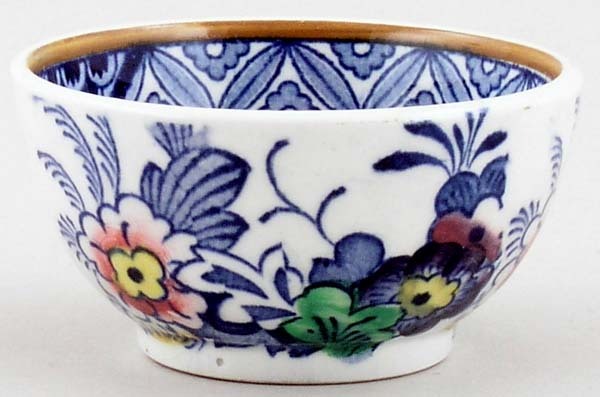 Very small bowl, blue printed under the glaze with handle applied enamel colour. Backstamp: Booths Silicon China Made in England Netherlands These Colours Will Not Perish. Crazed with a little very minor discolouration.